Speyer and Koblenz – More than just a geeky weekend! Last week I went to Germany to meet my boyfriend, who was at a games fair in Essen with some colleagues from work. Laura – a really good friend of mine – joined me; her husband was also at the fair. We didn’t go to the fair, though, because we were traveling just after I finished at work. After a very weird journey (where all the trains in the Netherlands were having problems) we finally arrived to Essen at midnight. When we arrive at the hotel I was impress of how many people was there playing board games. It was really nice to see my boyfriend in his element, with his friends and having a great time. I wanted to stay a chat for a while, but I was very tired so I decided to go to the room. A nice and warm shower, and a good night sleep was enough for me to keep going the next day. I honestly thought that we were going to explore Essen, but then we decided to go to the most amazing transport and technology museum I have ever been to. 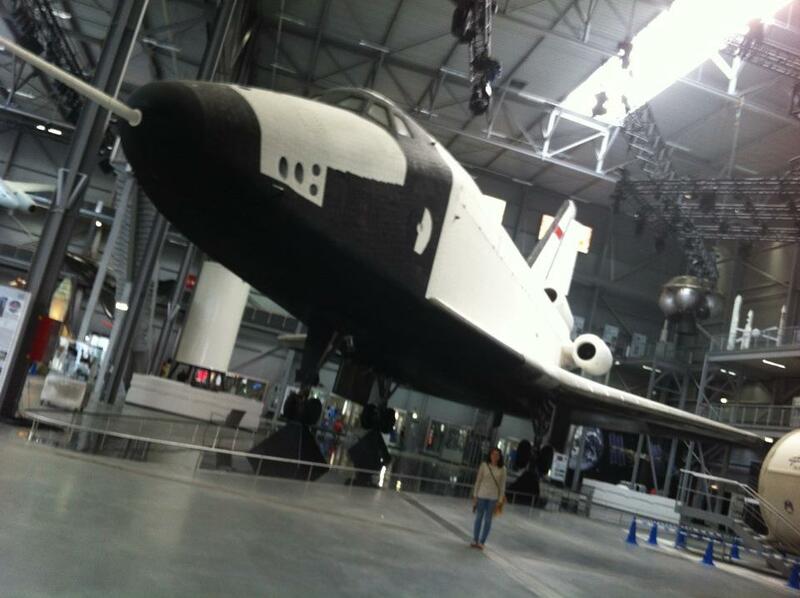 It is called Buran and is a Soviet Space Shuttle. That’s me, very tiny posing for my boyfriend’s camera. Isn’t huge? In order to assemble it there, the authorities had to carry it on a very big boat through the Rhine. It was the first time a saw something so big. 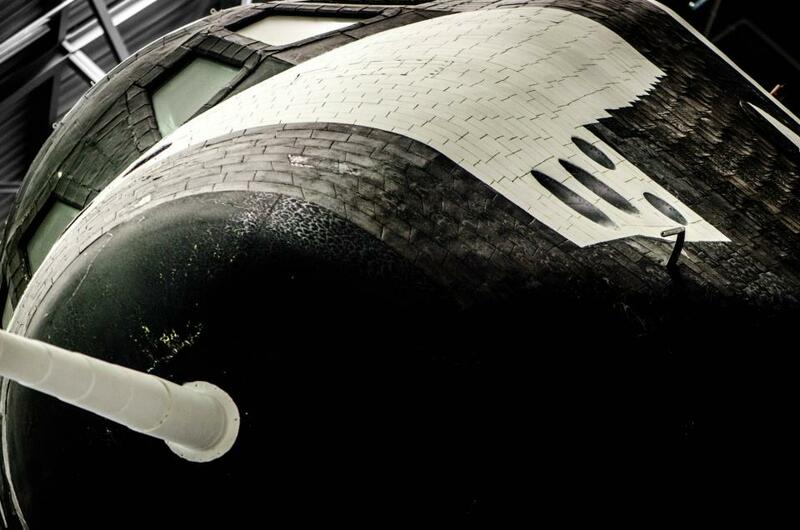 Another thing I also learned is that a Space Shuttle is covered by hundreds of thousands of ceramic tiles, and that if one of those tiles is missing then it can be fatal. 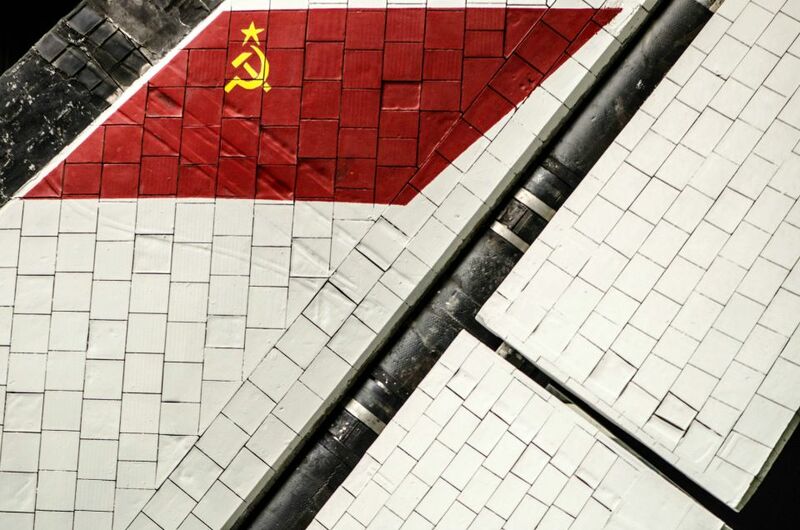 Buran. See the little tiles? They cover everything! This museum has many other cool things, like: a Boeing 747, an U-Boat, an AntonovAn-22, many other smaller aircrafts, a locomotive. It also houses a very impressive collection of aircrafts and cars from the second World War. The exhibition area is very big, go around the museum patiently will take at least two days. I am surprised that we did it in just one day, taking into account that we just saw the “most important things”. What a charming little town. Koblenz is a small city situated in the bank of two rivers: the Rhine and the Moselle. Since we were driving back to the Netherlands, we thought it would be a great idea to stop by one of the cities close to the border. Koblenz was established as a military post by a Roman military commander called Drusus during the 8 BC, which makes it 2020 years old. I didn’t know that until after I arrived home. Something really interesting that caught our attention as soon as we enter the city was the huge Prussian fortress, and in order to get there we took Koblenz Cable Cars which are the biggest aerial tramway; I must say that the view of the city from up there is amazing, considering also that the good weather was on our side. The Koblenz Prussian Fortress (in German Festung Ehrenbreitstein) was build in several stages from 1817 to 1832, to guard the middle Rhine region, an area that was previously invaded by the French troops. The fortress itself has never been attacked. 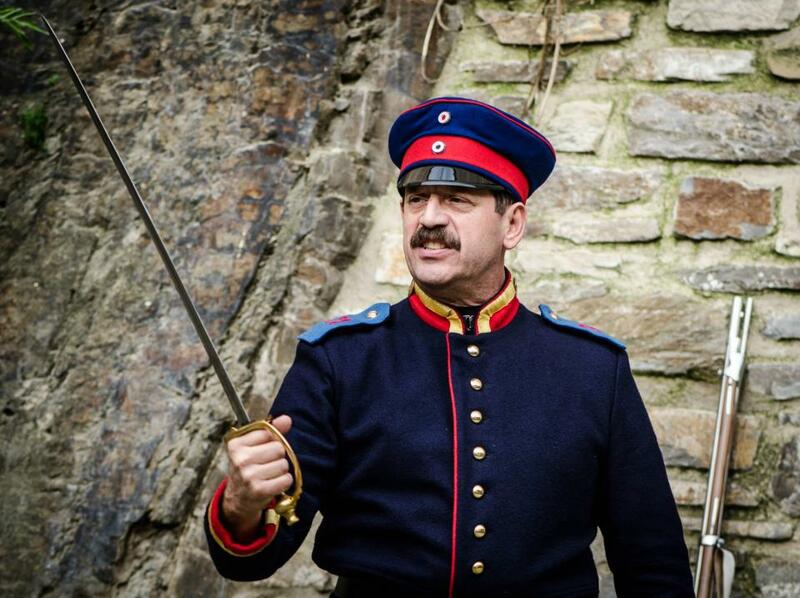 One of the highlights of the visit to the fortress was a German man dressed as a Prussian Sargeant, and showed us the arms that they used to use during that time. He showed the sable, rifle and gun, the best ways to kill the enemy and so on. Since I am not fluent in German I couldn’t get much of what he was saying, unfortunately.